This brand new release is kind of where east meets west by way of the great white north. 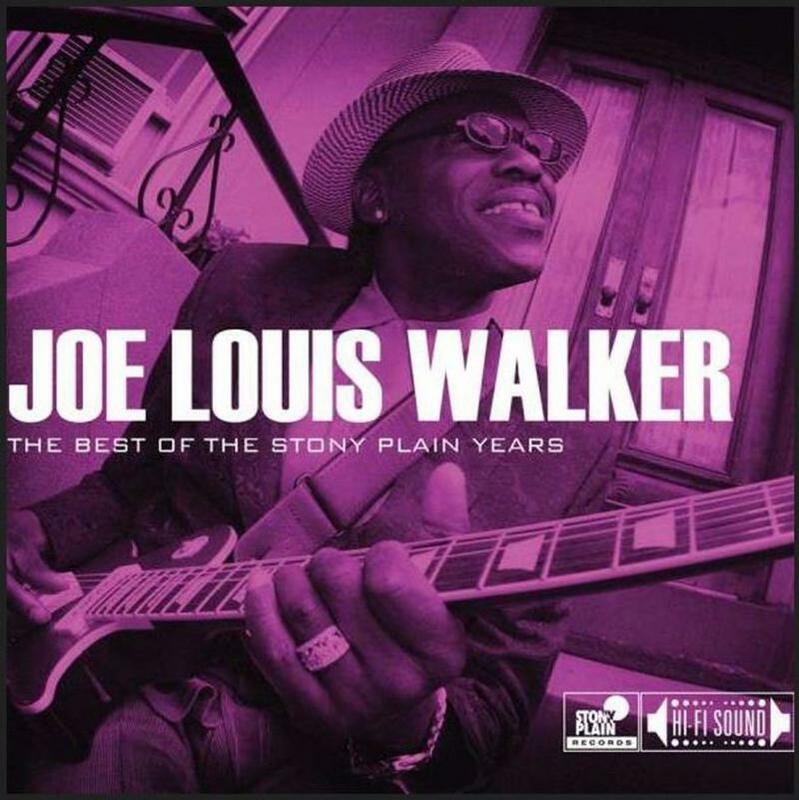 That’s right, Edmonton, Alberta, Canada, based Stony Plain Records has put out a marvelous compilation from the three CDs they released by San Francisco native, Joe Louis Walker. It is kind of a consolation prize to those fans of Walker’s music or anyone who has a pair of ears that were disappointed in his latest release on Alligator Records. These recordings stand in sharp contrast to that CD. This package reminds us just how good a Joe Louis Walker recording can be when he hooks up with the right producer and the right musicians. Enter team Robillard. Eight of the album’s eleven tracks were produced by Duke and engineered, mixed and mastered by John Paul Gothier at Lakeland Recording Studio in Rhode Island. These come from Walker’s 2008 release Witness to the Blues and his 2009 release Between a Rock and the Blues. The remaining three tracks come from Walker’s Blues Conspiracy – Live on the Legendary Rhythm and Blues Cruise which came out in 2010. For the eight studio sides, Robillard brings in his guys, who are part of that wonderful east coast blues mafia who the great guitarist and long time Stony Plain recording artist has worked with off and on for decades. These include keyboard player Bruce Katz and Duke’s drummer Mark Teixeira. The horn section includes long time Robillard sideman and Roomful of Blues teammate, going all the way back to the early 70’s, Doug James. His tenor and baritone sax are all over these sides. He is joined by trombonist Carl Quaforth and either Sugar Ray Norcia on harp or Scott Aruda on trumpet. Duke even joins in on guitar on a couple of these tracks. The highlight from the three blues cruise selections comes courtesy of the wonderful O.V. Wright classic, You’re Gonna Make Me Cry. Like standing toe to toe with Robillard and a guitar, Walker does the same with two of the greatest soul singers of his generation, Curtis Salgado and the instantly recognizable, once in a lifetime vocalist that is Mike Finnegan. Walker is up to the task as his voice, which puts one in the mind of a greasier, gospel influenced Robert Cray, holds its own with these soul-blues titans. This eight minute slow burner is nothing short of spectacular. The tracks on the Best of the Stony Plain Years were compiled by Joe Louis Walker and label president Holger Petersen. They had a daunting task as all three recordings, from which this CD was assembled, are full of strong material. They did a marvelous job and it sent me back to the original releases for point of reference. It is times like this that I realize how fun it is to do research. The other good news from Stony Plain is that the Joe Louis disc, along with release of Long John Baldry: The Best of the Stony Plain Years, represents the first two offerings in what the label has announced will be a series of CDs titled, The Best of the Stony Plain Years, which will include tracks from their vaults as well as rare and previously unreleased material. Congratulations to Stony Plain Records for these terrific releases. Keep ‘em coming.